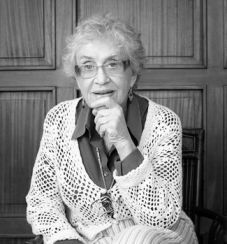 In the early 1990s, Ida Holz helped lead the group of computing pioneers whose efforts resulted in the development of the first networks of what has become the Internet in Latin America. She played a leading role in the construction of the Latin American Network Forum, the Latin American and Caribbean Internet Address Registry, the organization of Latin American and Caribbean ccTLDs and the Latin American Cooperative of Advanced Networks (RedCLARA). For over 20 years, until 2011, she directed Central Computer Services at Uruguay’s University of the Republic; it was under her direction that the university installed the first node of the Internet in Uruguay. More recently, she has been coordinating the Uruguayan Advanced Network. In this role, Ms. Holz oversees the development and maintenance of connectivity among the now 64 nodes at academic and research institutions throughout the country. Since 2012, she has been President of the Directive Committee of RedCLARA, the advanced Internet network established for Latin America interconnection, also linked to GÉANT2 and to Internet 2 (the pan-European and the USA advanced networks). She is a member of the Board of Directors of the Agency for Development of Electronic Governance and the Information Society, and is a member of the Program Committee of Ceibal Center (One-Computer-per-Child Program).